Summer always ends. Love doesn’t have to. Sofia Buck fled Hampton Beach a decade ago, never looking back until her father’s untimely death forces her to return for the summer to deal with the family business. Her one goal: sell Buck’s Landing, so she can move on with her life. Silas Wilde believes in serendipity, especially when it brings an irresistible woman into his life. He’s certain they belong together, and sets out to convince Sofia to give him—and Hampton—a chance at forever. Rediscovering the magic of her hometown with Silas tempts Sofia with a future she never imagined, if only she can let go of the past that waits around every corner. 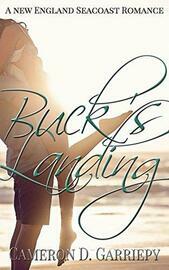 Buck’s Landing is the first in a collection of steamy, standalone New England seacoast romances.